For those unaware of what all this is, hooks are analogous to actions which you can define to fire when a given event occurs. For example, each time a user downloads an asset file, you have a hook which issues a notification to another system to tell it who downloaded the asset and what ID it was etc. As described in the WoodWing blog article, they are like the inverse of an API (Applications Programming Interface). 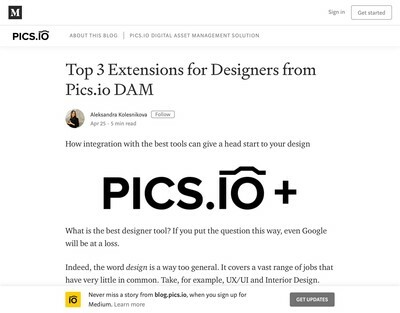 Where an API is used by a third party system to control the DAM solution, a hook allows the DAM to issue signals to another application based on user interactions. Elvis is not the only DAM solution to support hooks, a number of other DAM platforms offered by other vendors provide them too (certainly those with architectures that are designed with scalability and integration in mind). The main reason for drawing attention to this item is that it’s a great example of some good marketing which demonstrates that vendors can be both educational and promote their products without resorting to over-simplified clichés, mindlessly copying the competition or self-obsessed and overblown puffery. The article does a good job of explaining, in straightforward terms, exactly what hooks are and why you might be interested in them. 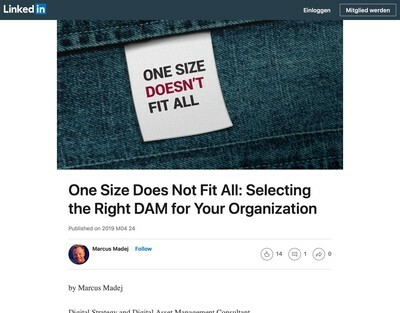 This is a point I make to vendors quite a lot, the market for DAM solutions (and associated services) is composed of people who are usually quite smart and who grasp the basics fairly quickly (and many have passed this stage a good number of years ago now). Prospective clients of DAM vendors do not need to be patronised or offered up the same generic content-marketing fare littered with cheap stock photography shots of beaming millenials dressed in fashionable attire and gesticulating in front of white boards, post-it notes etc. What they want is an indication of what a given product can do, why it is important and some various methods by which they might apply the facilities offered to help them solve their own DAM-related problems (plus some other adjacent ones that depend on it). While heavy technical detail doesn’t tend to go down well either, most DAM users understand that since they’re buying some computer software, there will be a bit of that in the mix. If vendors are able to tell them how they can apply their features and expertise to help solve end-user problems, that is generally welcomed and appreciated by prospective buyers. As pointed in a tweet by Tim Strehle who compiles Planet DAM (where I get most of my updates on the DAM market these days) hooks are a very useful tool for integration and interoperability, in general. 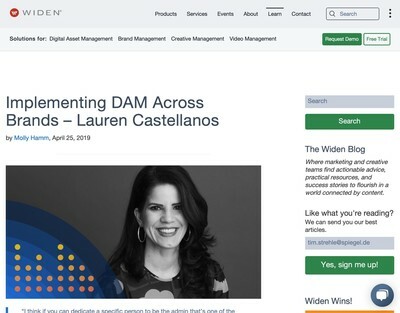 In recognition of that fact, we have added some additional questions to our DAM vendor directory where those firms who have platforms with support for them can highlight this fact. The details on what hooks-related capabilities are offered by vendors are accessible to registered users (a premium account is not required) and as before, there is no charge to vendors to register or update a profile. 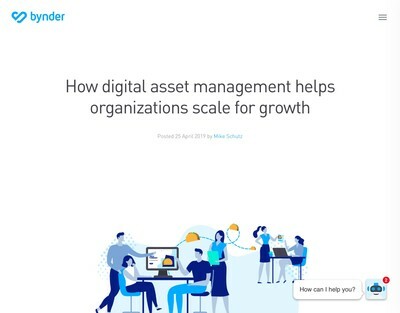 Previous post: Are G2 Crowd Digital Asset Management Software Reviews An Authoritative Source?